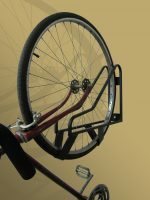 The Wall Max With Guard comes with the Wall Max and “Guard”, an extendable tray that prevents both tires from touching the wall and causing dirt and scuff marks. 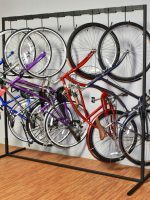 Perfect for Backroom Storage, the Wall Max With Guard bolts into the wall and can be mounted at different heights to allow the bikes to sit closer together. We recommend spacing to be 12 inches, center to center. 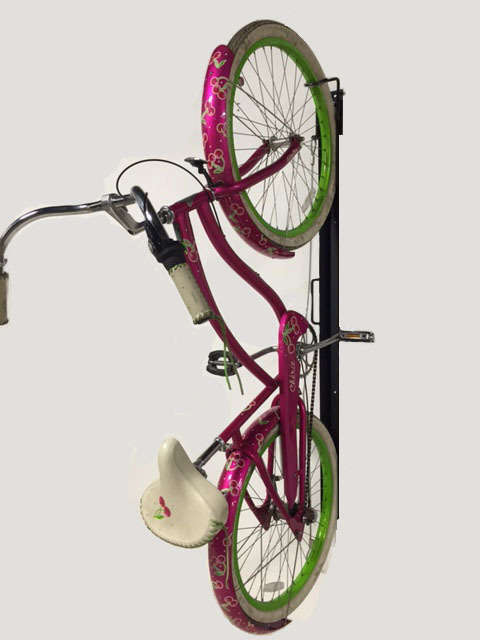 The front or rear tire can be placed in the hook. 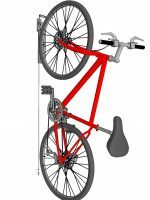 The hook itself is 2-3/4″ Wide. 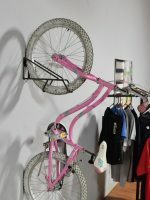 Accommodates most road, bmx, mountain, and 29er bikes, as well as cruisers. Click here for the Wall Max only.